As if we didn't know already, the screen on the Google Nexus 7 tablet has its flaws, although it seems to be a pretty good both on paper and at a glance. Sure, at 7 inches and with resolution of 1280 by 800 pixels, it has a decent pixel density – 216 ppi, and since it is made using IPS LCD technology, its viewing angles are quite satisfactory as well. However, a recent research that analyzed the Nexus 7 screen in detail revealed what should have been paid more attention to. The research, which was supervised by Dr. Raymond Soneira of DisplayMate Technologies, showed that the gray scale on the Nexus 7 display is quite inaccurate. Bright images lack detail as the screen's brightness does not go high enough to display them properly. As a result, bright graphics tend to look overexposed and highlights are noticeably missing. When displaying darker images, however, the imperfection is far less noticeable, if present at all. Depending on the screen's firmware, eliminating this flaw may or may not be possible with a future software update. On the other hand, the Google Nexus 7 screen fared well in a number of categories during the examination. It was capable of outputting 350 nits of brightness, which is on par with other contemporary tablets, and its contrast ratio of about 1,000 is great for a mobile display. Besides, the screen could display 86% of the standard color gamut, which is an impressive figure for a device of this class. So there you have it. The screen on the Google Nexus 7 tablet isn't perfect, but it is good enough considering the device's $200 price point. Those of you who already have a Nexus 7, does its screen look fine to you? Let us know by dropping a comment. I'd rather save $300 and get the nexus 7. Shoot I would get the Nexus 7 & be able to use it anywhere including the great outdoors, & with the $200 to $300 dollars I'd save, I would spend that on some sweet insane apps in the Google Play Store. Talk about having an awesome tablet jam packed with sweet apps for $500.00. With the iPad 3 you would have only a tablet with no apps. Just my take in all of this. The screen on my N7 is pretty good. The clarity is more than suffice for me and the brightness is excellent when outdoors and such. 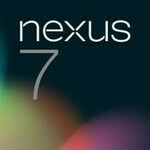 I am a little jaded however going from my Nexus or my GTab 7.7 over to the N7. The colors are just a radical change (not in a bad way but I'm sure most of you know what it's like going from a Super AMOLED to and LCD). Overall I'm very satisfied with the display. But as its been said many time already, how could I not be for the price. There you all have it. This tablet is just a piece of crap with a name on it to sell it. The only reason people are buying it is because of the brand name Nexus. I would have preferred the HTC Flyer with ice cream and call it the Nexus tab. At least it would have been quality and ultra smooth. I would love to see a comparison of this crap vs a htc flyer rooted to ice cream. And please stop comparing the iPad to android. Clearly this ain't a Samsung product. Even they could have made it better than this. For the record I bought one and sold it the next day because it's plagued with to many quality issues and yes the screen bleeds lights just like other articles say. I guess people want diamonds for the price of coal. It's a $200 tablet for Christ sake. And it's in a market still occupied by a $200 iPod touch that hasn't changed in 2 years. That is Apple's nearest device they have in the lineup. Wow, complaining about screen quality on a 199 tablet? Slow day at the office, PHONEARENA? Or go get a refurbished iPad2 straight from the Apple refurb store for $319. No need to compromise. The display is just excellent. I made the mistake of buying a budget 7" tablet with IPS, the Nook Color. I didn't know IPS displays could look that bad. Ditto for Kindle Fire. Not much faith in the "budget" IPS on the Nexus 7.